Adding a kitchen tile backsplash to your kitchen will increase the value of your house and it will help update or add pizazz. And the great thing is it can be done inexpensively. So it doesn’t matter what your budget is, there is a tile for everyone and every style out there. But before you get to choosing a new kitchen tile backsplash design idea, you need to get a handle on the numbers. On a super tight budget? Tile starts under .20 cents a piece at your local home improvement big box store. The tools, thinset and grout will run close to $30. So depending on the size of your project you could get this job done spending well under $100. And it’ll make a big change in your kitchen. Need something done with tremendous ease, in addition to sticking to a tight budget? How about backsplash ideas that are doable in about an hour! 1) Ceramic tile: often comes in shiny for those of you that like a semi or hi-gloss look to your kitchen. It’s one of the most inexpensive tile and it’s super easy to clean. Common sizes are 4×4, 3×6 (often referred to as subway tile), and 6×6. 2) Porcelain tile: often comes in a matte finish and common styles look like natural stone. so you get the natural look in a more stain resistant and often times less expensive tile. sizes range from 6×6 to 18×18. Porcelain is also a more durable tile. . .though on a backsplash that shouldn’t matter as much…since you are not walking directly on it. 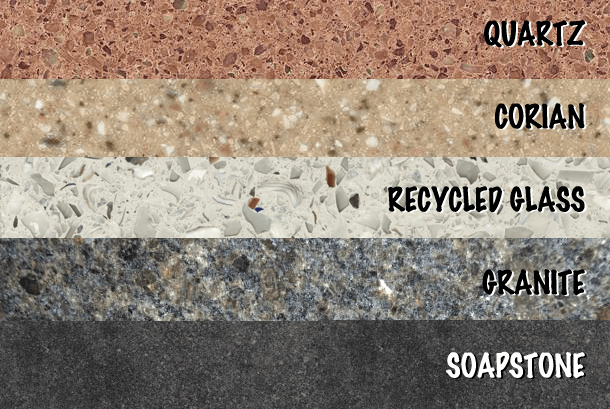 3) Natural stone: available in many types and sizes. Slate, Travertine, Marble, Granite and Limestone are just a few that have been favored in kitchens. Great because of its natural look, no 2 are exactly the same. They range in price from reasonable to expensive. If you are budget conscience make sure you keep the price tag in sight before you fall in love. 4) Glass tile and metal tile: range in size from 1×1 mosaics to 8×8 tiles. most common are on mosaic mesh though. the glass and metal both can bounce around the light in the room helping to make the space open up and look bigger. great in kitchens with no windows or natural light. they also range in price from reasonable to oh my. . . so once again make sure you keep that price in sight before you fall in love. Often times people will use one of the other types of tiles as their main and only use glass metal and natural stone as accent pieces. this way the cost is kept down a little, and you still get some of that look you were wanting. Backsplash Ideas Start To Finish In Under An Hour! 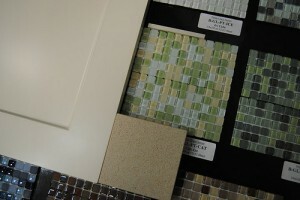 There are a lot of styles out there and a lot of choices to make before you start tiling. make sure you know what you’re in for and get a look around at what’s out there before you start your project. there are many books and websites out there to help guide you. Love the site…especially that lounge wish mine looked like that!